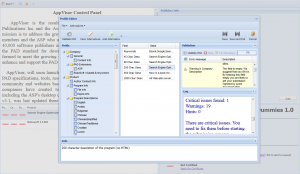 PAD® is the Portable Application Description, and it helps authors provide product descriptions and specifications to on-line sources in a standard way, using a standard data format that will allow webmasters and program librarians to automate program listings. PAD saves time for both shareware authors and webmasters. 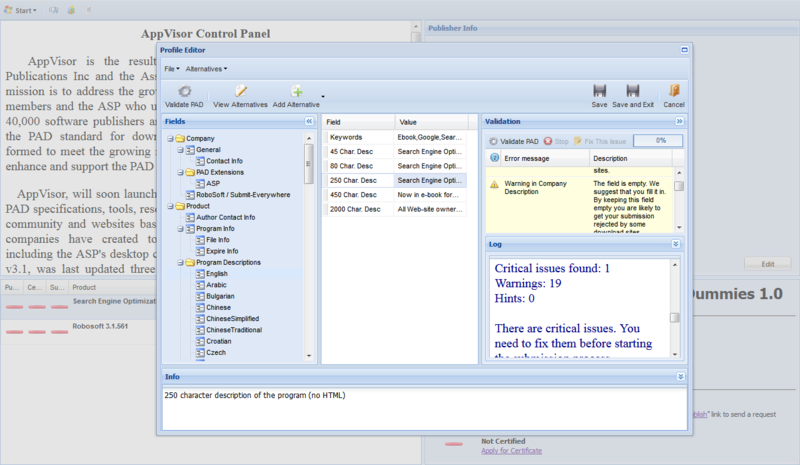 Publishers can create and manage PAD for their software products using the Publisher Control Panel. Using this control panel you can import a version 3.x PAD file and upgrade it to the version 4 or create a new PAD file and get it automatically validated to make sure it complies with all the specification requirements. The control panel also allows you to publish your PAD file in the Official PAD Repository and apply for PAD certification. Please note that starting of version 4 your PAD file is supposed to be hosted by the Official PAD Repository. This ensures that the data provided in your PAD file comes from a verified source and was checked by live operators. There is no need to upload PAD files to your own web site anymore. The Publisher Control Panel offers premium promotion services that allow you to distribute information about your software product in the Internet.